Reusable water bottles are the way to go. They’re cheap, convenient, and better for the environment. I always carry one when I travel to stay hydrated for cheap. But finding the right bottle is important too. The last bottle I traveled with was oh-so-cute, but the “oh-so-cute” design quickly bled onto everything else once in contact with heat and sweat. The inside of my backpack did not appreciate its new splotchy hue. Finally I found one I’ve really enjoyed. Coincidentally, some of my friends happen to use the same brand. 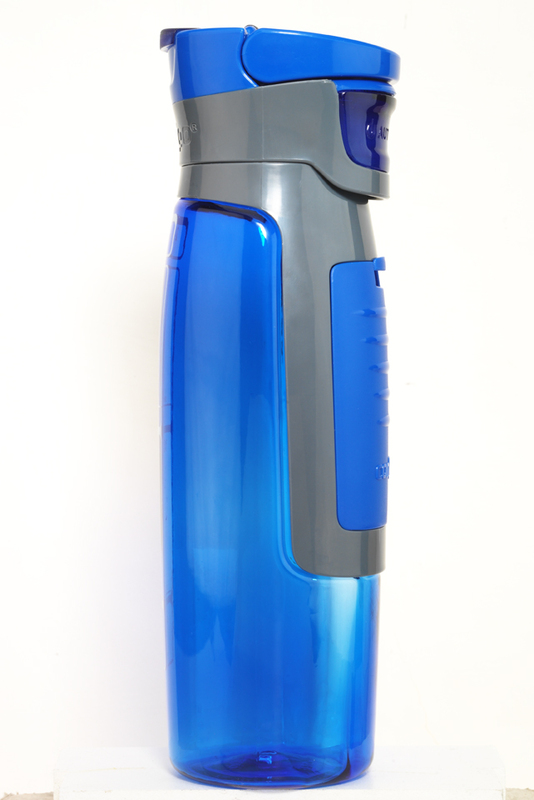 Now they offer a great, new version of my Contigo bottle, perfect for my weekly gym sessions! Presenting the new autoseal Kangaroo Hydration Bottle, which is designed with a fold-down front compartment for keys, credit cards, ear-buds or gym membership cards. I’m always misplacing my gym locker key (oops), so this is really helpful! What I like about Contigo: the autoseal technology automatically seals the lid between sips, making the bottles 100 percent spill-proof and leak-proof. Also, the bottle is crafted from BPA-free Eastman Tritan copolyester. Contigo bottles come in a variety of colors and styles. Take a look!